A short, fast WinkWorld before I leave to teach in Mallorca, Spain. In this little mini-edition, you will find information on my ever-evolving involvement with social media. The present blog is always found in the bottom-left corner of my webpages, JoanWink.com. Check it out. Sign up here. The present WinkWorld is always found here. Scroll down on my first page to see the options available. In addition, I share on Facebook, Google+, and I’m always trying to share more on Twitter. I am a LinkedIn drop-out. 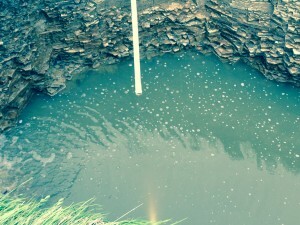 My present blog is about the damage from the floods. Remember, you can read it at JoanWink.com (bottom left). 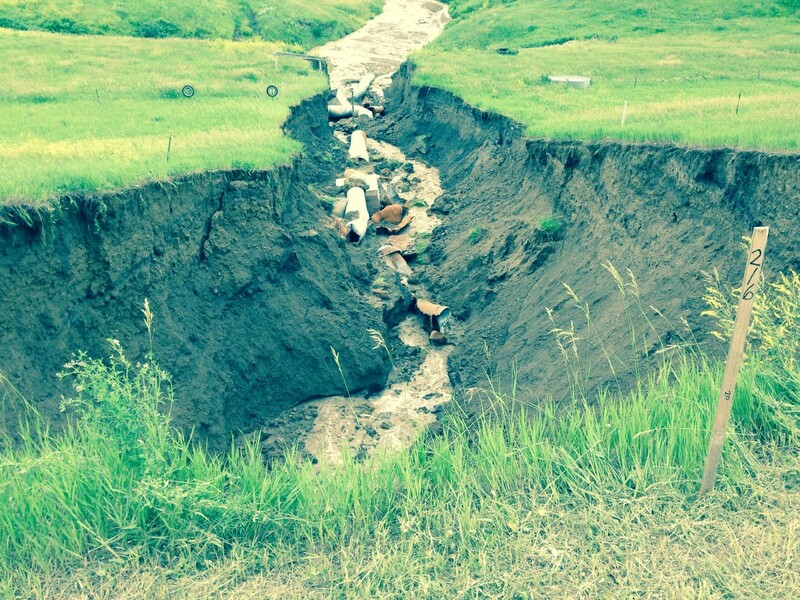 You may have heard about all of the flooding and erosion near our ranch. For example, the primary East/West road (Highway 34) is closed, as the erosion is weakening the road. The detours around add 75 to 100 miles, which is not always a happy surprise to motorists. We, too, have had some problems, some of which were posted on FaceBook (June 18, 2014) (click video link below to see our flooded road). However the purpose of this blog post is to share a very specific problem and how we solved it. 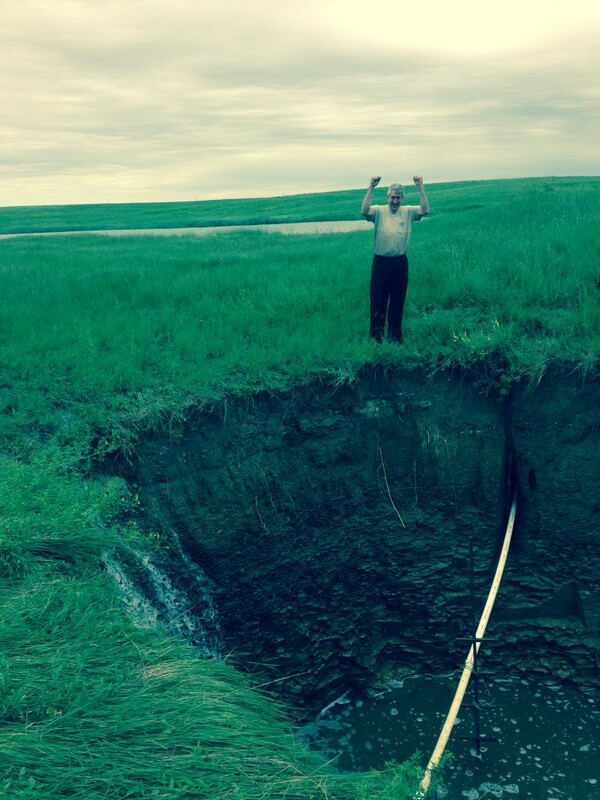 Near one of our dams, the spillway eroded and broke a major waterline, which goes to the truck washout. Wink, who was 4 weeks out from 5 broken ribs, 2 fractured ribs, and collar bone broken into 5 pieces, was sure he could get down into the water and join the two pieces of pipe. In one video that I posted, he went into the depths, which he said would be about a foot. You’ll note that I was guessing 6 feet. So, that did not work. The next video shows how he fixed the pipe.